Enormous jewels that people have to hide in pots? Or worse, bury in the grass, outside? That's not how you manage an economy, Hyrule. In fact, it's the fastest way to ensuring your Kingdom one day winds up at the bottom of the ocean. 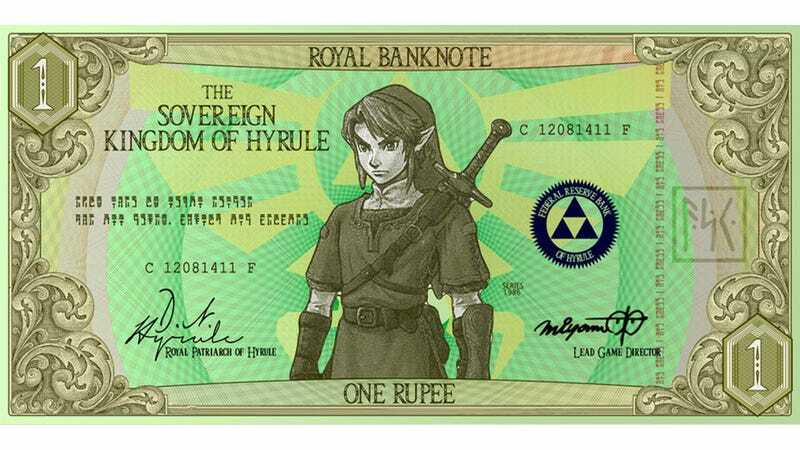 A switch to paper currency like proper nations (or even polymer if you're feeling fancy) might be more advisable, then, and artist G33k1nd159153 already has your inspiration with a series of four notes honouring four of Hyrule's greatest heroes.